A lonely Spanish girl becomes engulfed in two wild, crime filled hours on an early Berlin morning. Schipper gallantly defies industry conventions by allowing top billing go to his cameraman Sturla Brandth Grovlen, the real star of the show along with Costa. Over the course of two plus hours, cameraman and actress waltz through a skillfully choreographed ballet of cinematic ecstasy. Victoria may be shot on digital, but otherwise this is nuts and bolts analogue filmmaking at its most glorious. Long unbroken takes have always thrilled movie lovers aware enough to spot them. Think the bravura opening sequences of Welles's Touch of Evil or Altman's The Player, the bewildering climax of Antonioni's The Passenger or the walk through the Copacabana in Scorsese's Goodfellas. There's something about the long take, particularly when combined with complex camera choreography, that produces a delirious effect for the viewer, and the best ones immerse us in the action where a heavily edited sequence might produce the opposite effect. With traditional film cameras, a take couldn't last for longer than 10 minutes, which is why Hitchcock's camera in Rope brushes behind an actor's back every 10 minutes, momentarily blacking out the screen to allow for a cut to prolong a fake longer take. With digital technology, such restrictions have been lifted; you can capture hours worth of footage on a single hard drive, and digital is far easier to light for than film, allowing for more complex tracking shots through disparate lighting setups. Its exploitation of this new filmmaking freedom is likely the factor that landed the otherwise mediocre Birdman an Oscar, but Inarritu's film is yet another case of a faux long take. Sebastian Schipper's Victoria is the real deal however; a movie shot in one genuinely unbroken take of over two hours, its narrative playing out in real time. The shoot and the story begins at 4.30am in a darkened Berlin basement club, the camera tracking through the dry ice and strobe lights to focus in on a young woman alone on the dancefloor, temporarily lost in music. 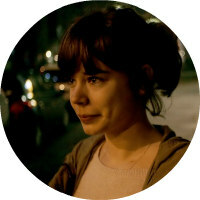 She's our titular heroine, a Spanish immigrant played by the relatively unknown Laia Costa in an undoubted contender for performance of the year. Costa's Victoria struggles to make friendly chit chat with the barman, who shows no interest, and we quickly understand that she's living a lonely existence in her adopted city. That's why Victoria agrees to hang out with Sonne (Frederick Lau, an actor who looks a lot like a young Jeff Bridges, and just as charming) and his boisterous mates, who take her to a rooftop for some beers shoplifted from a nearby grocery store. After he accompanies her to the café she needs to open in a couple of hours, Victoria begins to fall for Sonne's charms, resulting in her tagging along with the gang for a shady meeting with some gangsters, which leads to Victoria and Sonne battling for their lives in the early hours of a Berlin morning. 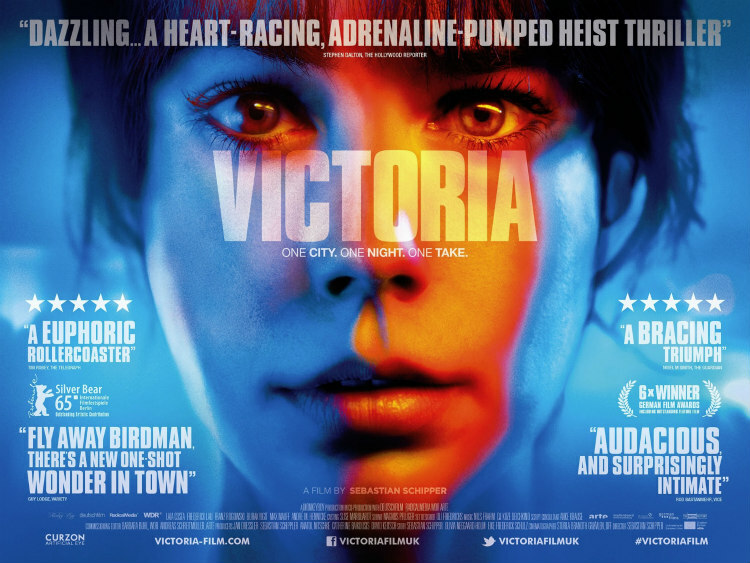 It would be easy to dismiss Victoria's one-take shoot as a mere gimmick designed to grab the attention of cinephiles who might otherwise overlook a German thriller, but once you see the movie it's impossible to imagine its story told any other way. Remember that great one-take sequence in Joseph Losey's Gun Crazy and how it sweeps you up in its protagonists actions? Victoria plays like this extended to feature length. 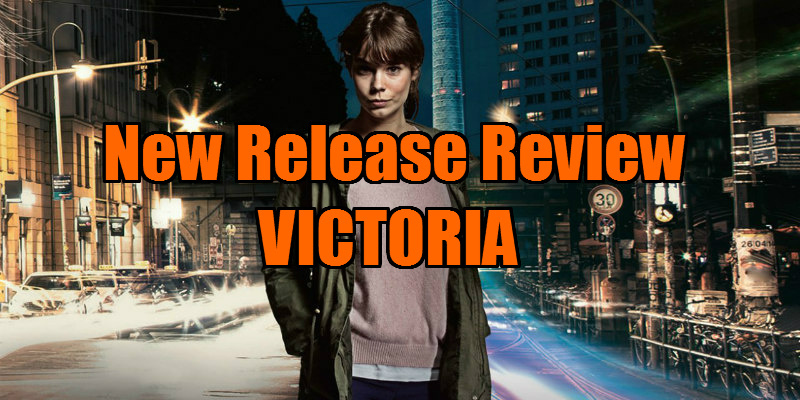 Take a step back and Victoria's actions become hard to swallow, but Schipper never affords you such pause for reflection, dragging you along on this breathless ride. It's not all manic motion however, and crude comparisons to Run Lola Run are off the mark. The first hour could be confused for a German remake of Before Sunrise, as we spend so much time simply hanging out with Victoria and Sonne as they fall for each other, and the movie's most memorable sequence takes a break from the action as Victoria, Sonne and his buds engage in a wild celebratory dance, returning to the basement club post heist. Victoria remembers to win our hearts while blowing our minds. Schipper gallantly defies industry conventions by allowing top billing go to his cameraman Sturla Brandth Grovlen, the real star of the show along with Costa. Over the course of two plus hours, cameraman and actress waltz through a skillfully choreographed ballet of cinematic ecstasy. Amazingly it only took three takes to deliver the finished product we have here (apparently one was ruined by Costa's need for a toilet break). Don't look for the joins, as they aren't there; Victoria may be shot on digital, but otherwise this is nuts and bolts analogue filmmaking at its most glorious.